This message comes from Phyllis Richardson. Have you ever wondered which were the models for Pemberley, Brideshead and Manderley? Or what made E. M. Forster write about an idyllic cottage called ‘Howard’s End’? Or how did John Galsworthy envisage the cutting-edge (for 1886) house designed by Philip Bossiney for Soames Forsyte? The house of fiction is a book by Phyllis Richardson exploring how the most celebrated houses in literature were inspired by existing houses, architectural trends and the authors’ personal experiences. 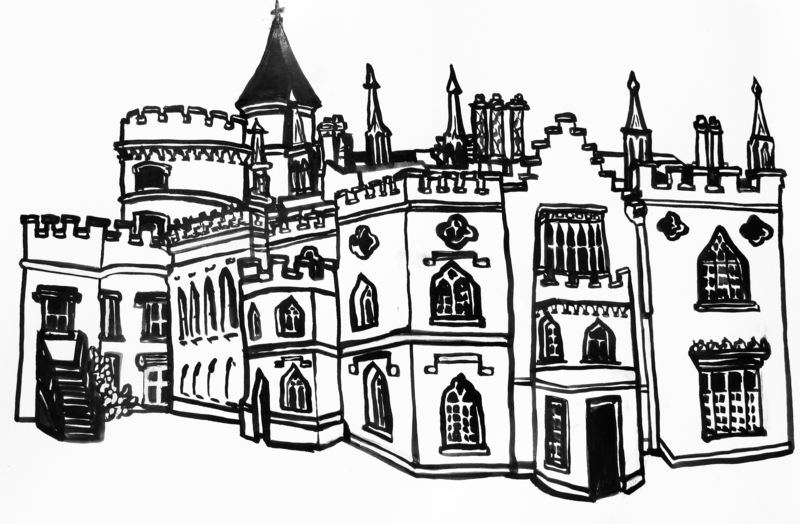 It contains specially commissioned drawings by local artist Harriet Winterburn, such as that above of Horace Walpole’s ‘little Gothic castle’, Strawberry Hill, in Twickenham, where he dreamed not of Manderley but of Otranto. The house of fiction is available to sponsor (by crowd funding at Unbound), much as Tristram Shandy was when first published in 1759. Sponsoring it will put your name in every copy and can even get you a signed print of your choice. You can also follow its development on Twitter: @_HouseofFiction. 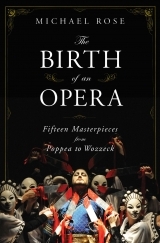 Michael Rose has now published his long-awaited book, The Birth of an Opera: Fifteen Masterpieces from Poppea to Wozzeck. It is a distant descendant of radio broadcasts that he made fifty years ago. In it he discusses the origins of, and responses to, operas by fourteen composers (with Mozart being allowed two operas). The reviews have been very enthusiastic both in the UK and in the US; you can see examples in The Spectator and The Wall Street Journal. You can find out here about another Michael Rose who lived in the neighbourhood.